BANGI, 27 Aug 2012 – A cross-sectional study found that a majority of Malay breast cancer survivors use complementary and alternative medicine (CAM), the most common being dietary supplements followed by prayers and Malay traditional medicine. The study to determine the prevalence of the use of CAM was carried out on 116 Malay breast cancer survivors aged 21 to 67 who were two years postdiagnosis and currently undergoing follow-up treatment at breast cancer clinics at Hospital Kuala Lumpur (HKL) and Universiti Kebangsaan Malaysia Medical Centre (UKMMC). 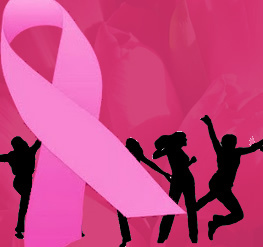 It found that CAM was commonly used by breast cancer survivors as a coping mechanism to battle the disease. Within the wide range of dietary supplements, multivitamins were most often taken followed by spirulina, vitamin C, evening primrose oil and herbal products. The study was carried out by Dr Soraya Hanie Shaharudin and Dr Mohd Razif Shahril who were postgraduate students, Dr Suhaina Sulaiman, PhD, senior lecturer and dietician from the Department of Nutrition and Dietetics, UKMMC and Dr Nor Aina Emran, senior surgeon in the breast and endocrine unit of the Department of Surgery, HKL. Profesor Dr Sharifah Noor Akmal Syed Hussain, a cytopathologist in the Department of Pathology, UKMMC was also involved in the study. Dr Suhaina noting the increasing incidence of CAM usage in the country said the main objective of the study was to determine the prevalence of CAM use among Malay breast cancer survivors in the Klang Valley with the secondary objective of identifying ways in which CAM users differ from nonusers. It was carried out over six months from January to June 2007 as part of the Genetics, Molecular and Proteomic Study of Primary Breast Cancer in Malaysia. Two outpatient breast cancer clinics from referral hospitals —Hospital Kuala Lumpur (HKL) and Universiti Kebangsaan Malaysia Medical Centre (UKMMC)— were selected to recruit the suitable subjects. HKL is currently the largest hospital under the Ministry of Health of Malaysia and is considered to be one of the biggest in Asia while UKMMC is an academic medical centre established by the merger of the Faculty of Medicine and its teaching hospital, Universiti Kebangsaan Malaysia (UKM) Hospital. The research noted that contrary to other findings, CAM users were found to be older, from middle-income households and had secondary education. “There was, however, no significant difference between CAM users and nonusers in this study. Family members played an important role as the main source of information along with doctors/health care providers, friends and printed materials/mass media,” Dr Suhaina said. The participants said their use of CAM were mainly to assist in healing their body’s inner strength, to cure cancer and to reduce stress. Only half of the participants consulted with their physicians regarding the safety of CAM use. “The participants began to use CAM while undergoing clinical treatments. Most of the participants used CAM for more than a year. About RM100 to RM149 were spent monthly on CAM by 32% of the participants. “The CAM use was found to be effective and beneficial for patients’ disease states and they were contented with the usage of the CAM therapies,” Dr Suhaina said. Multivariate analysis revealed that the decision to use or not to use CAM was not dependent on sociodemographic background or cancer clinical treatment history, said Dr Suhaina in their report entitled “The Use of Complementary and Alternative Medicine Among Malay Breast Cancer Survivors” published in Alternative Therapies, Jan/Feb 2011. She said that in Malaysia, the prevalence of CAM use was about 60% among patients with various types of cancer. Research has found that almost 70% of Malaysian CAM users consumed dietary supplements, most often multivitamins (57%) and vitamin C (32%). On the other hand, religious practices were the most common complementary medicine practiced by the participants. A qualitative study also found that many breast cancer survivors used oral preparations, applications and spiritual prayers. It also found that many patients use CAM because they were afraid to have surgery, were influenced by friends, believed that alternative theraphies work and had bad experiences in hospitals. Studies on CAM use may also provide insights into the beliefs of people who are taking an active and participatory approach to their health care and well-being. Because breast cancer is traumatic for patients, they tend to use CAM to promote a sense of well-being to recover. Dr Suhaina said of the 125 patients approached to take part in this study,114 breast cancer survivors voluntarily participated. Most of the participants were married (76.3%), had a secondary education level (54.4%), were not working (51.8%), and had monthly household income of between RM1001 to RM3000 (44%). Most of them had undergone three modalities of clinical treatment, which were surgery (97.4%), radiation therapy (89.5%), and chemotherapy (88.6%). Half of the participants currently used hormone therapy (53.5%). The hormone therapy was given to the participants according to their estrogen receptor (ER) status, and they had to take hormone therapy for 5 years. The majority of the subjects were diagnosed with stage II breast cancer (49.1%) while others were diagnosed with stage I (25.4%), stage III (22.8%), and stage IV (2.6%). Sixty-four percent of the participants were identified as CAM users. Of the 17 types of CAM listed, 12 were being used by the participants. The most common CAM use was dietary supplements (86.3%). The most common types of dietary supplements used were multivitamin (53%), followed by spirulina (32%), vitamin C (27%), evening primrose oil (18%), and herbal products (11%). She said as all the participants were Malays and Muslims they were more likely to use prayers and traditional Malay medicines. More than half of the CAM users said they did not discuss their CAM use with their physicians. Almost half of them started to use CAM while undergoing clinical treatment. Thirty six of the CAM users had used at least one type of CAM for more than 12 months. The highest expenditure on CAM use per month ranged from RM100 to RM149 (31.5%). The type of Dietary Supplements used are Multivitamin, Spirulina, Vitamin C, Evening primrose oil, Herbal products, Calcium, Sea cucumber jelly, Vitamin B complex, Vitamin E, Vitamin A, Fish oil, Vitamin D, Gingko biloba, Iron, Garlic, Ginseng extract (Pharmaton), Green tea and Aloe vera. “The reason given for using CAM depended on the type of CAM use and the common reasons stated by the participants: to assist in healing body’s inner strength (57.6%), to cure and prevent cancer from spreading (41.1%), and to reduce stress (16.4%). Other reasons identified were encouragement by their family members (27.4%) and recommendations from their physicians (15.1%). “For the dietary supplement users, the reasons given by the participants (to cure cancer and assist in healing of body’s inner strength) reflected their desire to get healthy by consuming products that contain a high nutritional value and had well-established evidence in improving health. “On the other hand, the use of mind-body intervention methods such as prayer and spiritual healing were trusted to help in healing the body’s inner strength and reduce stress. “The least frequent reasons for CAM use given by the participants were to ease pain (9.6%) and help in healing wounds (2.7%). The majority of the CAM users (82.2%) claimed that CAM use was effective and they were contented with the CAM use (85.0%),” Dr Suhaina said. The participants were asked how they knew about the CAM they use or had used, 50.7% attributed to advice from family members and 31.5% from friends. Other sources of information were doctors or health care professionals and information from mass media or printed materials. In the report, Dr Suhaina concluded that CAM use has increased among the general population and specifically among cancer survivors. Alternative medicine use increased substantially between 1990 and 1997 among the Americans. “Religious and spiritual beliefs are important in cancer care, especifically in coping with the disease. As the participants in this study were all Malays and Muslims, prayers and spiritual healings were commonly used as a CAM method in addition to the conventional cancer treatments. “Prayer is associated with one’s religious daily routine. One study noted that 62% of cancer survivors used prayers for health. According to the study, people pray for health when their perception of morbidity and mortality related to illness increases. “Spirituality, on the other hand, plays a significant role in helping women deal with their thoughts of mortality and in helping them cope with their health conditions,” said Dr Suhaina. Another research observed that spiritual healing was the most popular CAM modality used by almost 80% of cancer patients in Iran. This method was highly used because it does not involve any cost. One interesting point, said Dr Suhaina was “after being diagnosed with breast cancer, the participants tended to perform additional prayers such as solat Taubat (repentence) and the solat Hajat. According to the participants, the practice of reciting holy Quranic verses was taught by their family members and friends. Their faith and belief in the greatness of Allah in healing their disease prompted three of the participants to perform theHajj to the holy city of Makkah and one of them to perform the Umrah. Even though the survival benefit of mind-body intervention methods is still questionable, one researcher, Weiger WA suggested that prayer and spiritual healing have a positive impact on patients’ emotional states and physical symptoms. The impact of religious and spiritual beliefs on sustaining people’s inner strength throughout their lives as well as improving their quality of life requires in-depth research. Interestingly, CAM users were found to be more likely to be dissatisfied with their primary care physicians and had more fear of cancer recurrence. Dr Suhaina said that Malay culture imposes strong family spirit and good psychosocial support during times of illness. Thus, the influence of family members in health matters is significant. This cultural finding is supported by the strong sense of solidarity of the family that is all pervasive in Islam. The teachings of Islam specify that family members and fellow Muslims have a religious obligation to take care sick of family members, pray for them and support them financially.